We provide Sash Window Repairs in Altrincham Enquiries for Sash Window repairs in Altrincham regularly come into us. We have both new and existing customers who want the benefit of a company who provide sash window repairs throughout Altrincham. Its no secret that sash windows in listed and period buildings in Altrincham have proven strength that can’t be matched by modern windows and repaired correctly. In Altrincham for sash window repairs or anywhere in the Greater Manchester area. 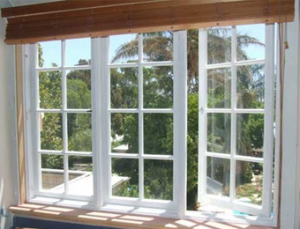 Timber Repair Systems have a proven track record in window restoration. Having serviced the region for over 20 years successfully. Whatever the repair may entail-rotten sills. Presence of wood decay, replacement sash cords. Weights, pulleys sash lifts and reglazing, draught and rattles etc-the highly skilled and experienced team at Timber Repair Systems can offer a ‘one stop’ shop for all sash requirements. For sash window repairs Altrincham, the team at Timber Repair Systems use a window restoration process-for sash windows-called ‘Dry Flex’. Which they are a designated agent for. This system, is designed for exterior applications with a two component epoxy resin which is superior to many conventional resins. Allowing the original character of the wood to remain. Dry Flex will not shatter and has an excellent. Impact resistance which contributes to your windows being repaired to the highest standards.